The FA Cup is 143 years old and for many football fans, it remains the most exciting football competition in the world. This weekend saw the high-profile start of this season’s Premier League, but for teams in many lower divisions Saturday (16 August) was the Extra Preliminary Round of the FA Cup and the start, or end, of their team’s FA Cup dreams. For one group of friends from Tyneside, Saturday also marked the beginning of their own FA Cup adventure. Malcolm Larkin (Gateshead), Mac Crawford (Westerhope), Wayne Soulsby (Gateshead) and Pete Hind (North Shields) are following the FA Cup from this first round all the way to the final. The idea was dreamt up last year, borne out of a desire to go to Wembley and to raise money for the Sir Bobby Robson Foundation. Malcolm Larkin explains: “We’re all really keen to get more involved in the FA Cup so we thought up ways to make that happen but to make sure it meant something too. Their FA Cup journey began at Newcastle Benfield FC’s Sam Smith’s Park ground in Newcastle and a game against Penrith AFC. Both Northern League Division One teams, Benfield won the game 2-1 coming back after being a goal down at halftime. Newcastle Benfield are now at home to Kendal Town FC in the next round so Malcolm and his fellow FA Cup adventurers will be returning to Sam Smith’s Park on 30 August. There are 14 games between the Extra Preliminary Round of the FA Cup and the final at Wembley. The group are paying for their own travel and ticket costs and Malcolm has quit smoking so he can afford to take this challenge on. Malcolm continues: “It’s a really big undertaking and we’ve already agreed we can’t do replays. At least one of us will be at every game though, wherever it is. “I was smoking 30 a day but I can’t afford to do that and this, which is a very good thing for my health. I know the Sir Bobby Robson Foundation approve of that too. 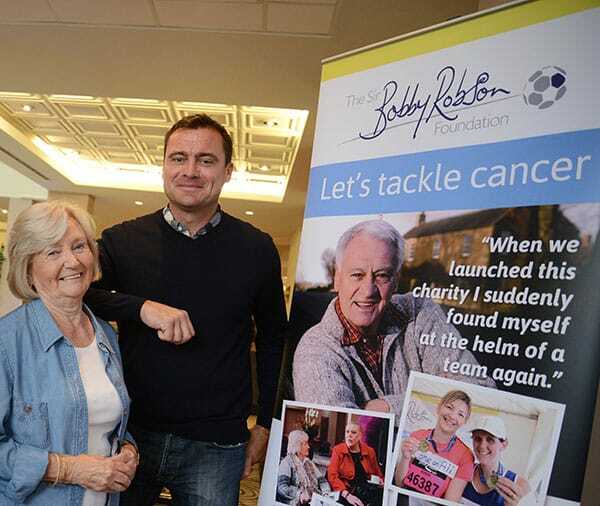 Sir Bobby launched his Foundation in 2008 to help find effective ways to detect and treat cancer. It funds projects, including the clinical trials of new drugs, that directly benefit patients from across the North East and Cumbria and which contribute significantly to international research into cancer. Malcolm adds: “I lost my dad to cancer and Mac lost his dad and twin sister so, like so many people, we all have reasons to want to support this cancer charity. We’re hoping other football fans will back us by donating to the Sir Bobby Robson Foundation through our JustGiving page. 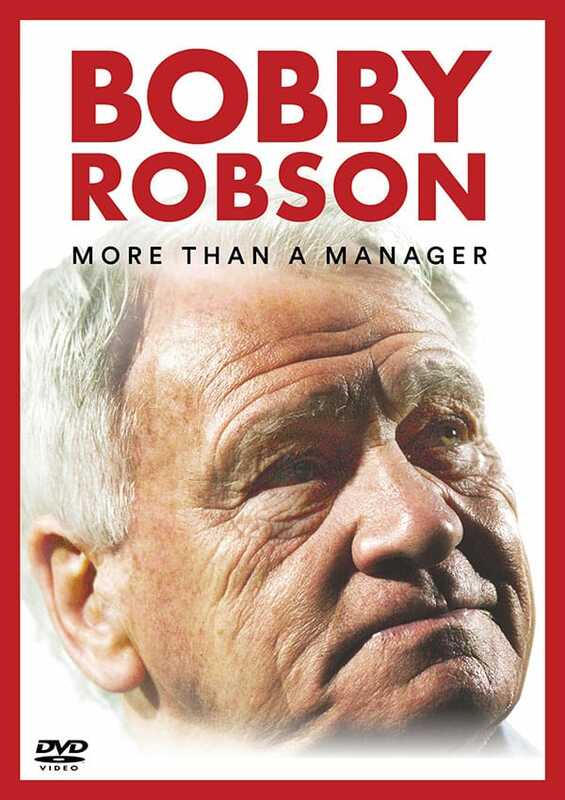 Sir Bobby Robson won the FA Cup with Ipswich Town FC in 1978 and it was a competition that was very important to him. He was at Wembley, with wife Lady Elsie, to cheer on Newcastle United when they last won the cup in 1955. Sir Bobby’s son, Mark, says: “Dad won the FA Youth Cup twice with Ipswich and that laid the foundations for the club to go on and win both the FA Cup and UEFA Cup. “He loved going to Wembley and knew the competition was a great chance to win silverware and a great day out for the fans. He took it very seriously. “In fact my favourite football memory is going to Wembley to watch Ipswich in the final. I can remember every detail of that day, the coach journey, everything. It’s all etched in my mind. To make a donation to the Sir Bobby Robson Foundation and support their efforts, please visit: www.justgiving.com/SweetFACup. The group are tweeting from @SweetFACup.